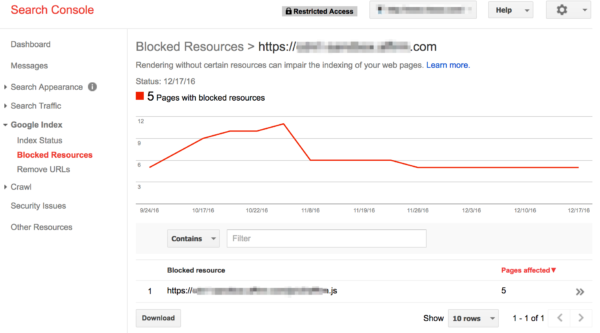 In 2015, Google Search Console already started to actively warn webmasters not to block CSS and JS files. 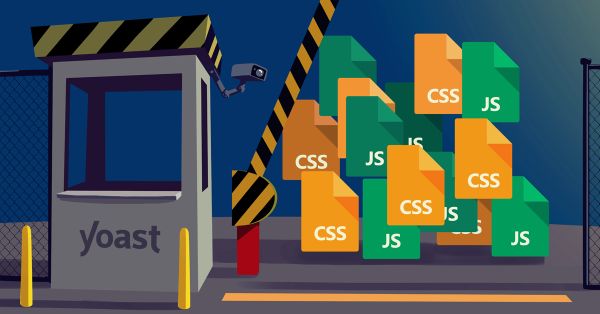 In 2014, we told you the same thing: don’t block CSS and JS files. We feel the need to repeat this message now. In this post, we’ll explain why you shouldn’t block these specific files from Googlebot. The tester will tell you what file is and isn’t allowed according to your robots.txt file. More on these crawl tools in Google Search Console here. Unblocking these blocked resources basically comes down to changing your robots.txt file. You need to set that file up in such a way that it doesn’t disallow Google to access to your site’s CSS and JS files anymore. If you’re on WordPress and use Yoast SEO, this can be done directly in our Yoast SEO plugin. To be honest, we don’t think you should block anything in your robots.txt file unless it’s for a very specific reason. That means you have to know what you’re doing. In WordPress, you can go without blocking anything in most cases. We frequently see /wp-admin/ disallowed in robots.txt files, but this will, in most cases, also prevent Google from reaching some files. There is no need to disallow that directory, as Joost explained in this post. We’ve said it before and we’ll say it again: don’t block Googlebot from accessing your CSS and JS files. These files allow Google to decently render your website and get an idea of what it looks like. If they don’t know what it looks like, they won’t trust it, which won’t help your rankings. Well, I have read in many technical blogs who always show ways to block JS and CSS. But no one have specified that it can harm our blogs. Google doesn’t render your website. Your browser does. And people like me don’t care if Google can’t force us and those around us to work in a manner that primarily allows Google to dominate. This article is verbatim, the old Microsoft nonsense to attempt total control. We all know how that goes. How else do you think big G knows if your site is responsive? actually Jason, as the article points out, Google does render your website.